At Beaumont Court, you’ll feel at home the moment you step through the door. We live as one big family here – so much so that we call our residents ‘family members’ – with everyone sharing mealtimes, memories and some very special moments together. We’ve created a loving, nurturing environment where everyone is treated like a person, not a patient. There are no set routines, or timetables; people live to their own rhythm and are encouraged to do the things that they find meaningful – whether that be chat, take a stroll, or have a go at some hobbies. Our home is your home, and we look forward to welcoming you with open arms. Please call Diane on 01566785350. 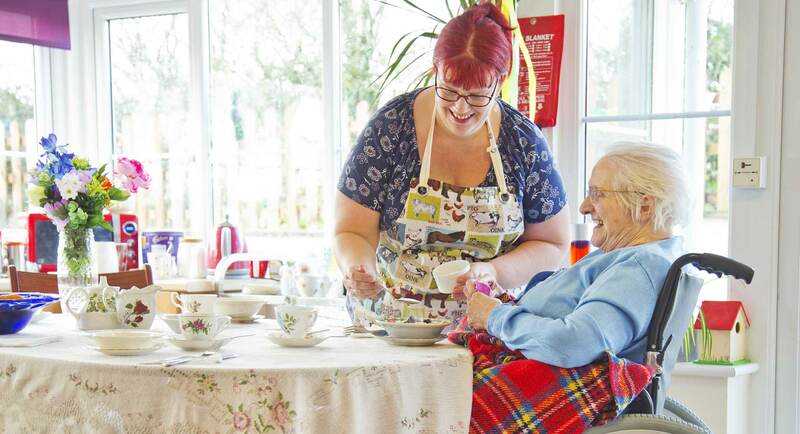 Beaumont Court was awarded ‘Butterfly Home’ status by Dementia Care Matters in December 2018, rewarding the high level of emotional intelligence and exceptional person centered care we bring to our home.